This is a wonderful contemporary Christmas romance, just in time for the holidays. An amazing romantic tale filled with loss, sadness, happiness and love. Plenty of memories recreated from the forgotten past. It all starts with a call for help. Georgia is the manager of the One Light Charity shop. She is working late one night when a call for help comes in from a man who has the wrong number. He sounds so familiar, yet so devastated and sad. She can’t bear to make him call the right number. Leo owns It’s A Wonderful Latte coffee shop. Business has been bad and he is on the verge of losing everything. He has given up on life and is ready to end it all, but when he has second thoughts he turns to the flyer he finds to reach out for help. When he finds he dialed the wrong number, he begs the beautiful voice on the phone not to hang up. And she doesn’t. She has save his life and for that he will be forever grateful. When Georgia realizes that her crush at the coffee shop is the voice from that night, she hides who she really is. She doesn’t want him to be embarrassed by it. So she sets off on a mission to help him save his business and gain his Christmas spirit back. In the process of helping Leo, Georgia brings life back to the abandoned High Street. With shop owners returning and her feelings for Leo growing, Georgia realizes that it could all come crashing down at any moment. Will her little white lie destroy all that she worked to build? I really can’t express what a wonderful book this was. It was real and full of emotions, that reach deep down into your soul. The characters are wonderful and amazing. Georgia is strong, determined and always puts others before herself. Going out of her way to help everyone, even if it is at risk to her. Leo is a strong and sad man. He carries the weight of the world on his shoulders and at the beginning of this book he really breaks down and almost gives up. This story gives you a reality check on what most people don’t realize. That even though we may look ok on the outside, doesn’t mean that everything is alright behind closed doors. Some can mask their problems better than others. Even though we don’t know someone is hurting, they can be on the edge of all hopelessness. It touches deep on the sensitive subject of suicide. A really soul searching story. Overall this book is a steady paced story, full of love, loneliness, loss and the meaning of someone to listen. It tells the tales of the past, the present and the future wanted. An original story mixed with an old Christmas classic. Truly beautiful story with even more beautiful characters. So if you love a good romance, then this book is for you. Hands down the top Christmas Story of the year. This entry was posted in Blog Tours | Weekend Blitz, Book Reviews, Neverland Tours and tagged November 2018. Bookmark the permalink. 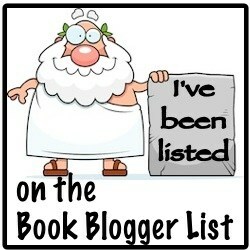 Oooh This sounds like a smashing book!! Great book. 🙂 Click on the picture to enter to win.